Nephrite jade, the King of jewellery in the Orient! Iconic symbol of royal authority! The magical wave emitted from nephrite jade will make females feel rejuvenated with beauty and treated like a queen. The far-infrared radiation emitted from jade gemstones contains positive and negative ions, 50 to 50, respectively, which are known to be effective in treating modern day diseases, converting physical constitution from acidic to alkaline and cleansing blood. 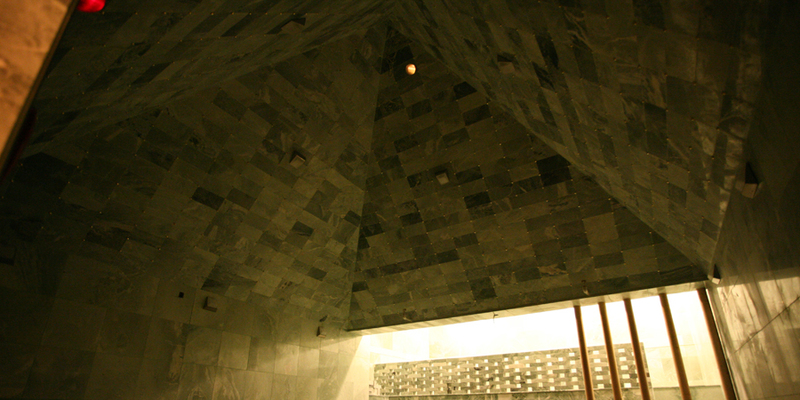 Natural nephrite jade energy experience room features 45℃ to 50℃ in air temperature and the far-infrared radiation penetrates deep into your muscle (approx 5 to 6 cm), activates cells, decompose bodily waste. The activated cells generate heat, rejuvenate tissues and discharge harmful heavy metals and wastes within blood vessels and muscles out of your skin, serving as a great skin care solution. Hade is known to enrich your mind, brighten your eyesight, soften your hair and to beautify your voice. Jade wave detoxifies your body and helps you gain healthy skin and intestines. Highly effective in treating dizziness, constipation, indigestion, bladder infection, menstrual pain, diabetes, high blood pressure, low blood pressure, hemorrhoids, obesity, skin anti-aging, and circulatory and nervous system. Far-infrared radiation and negative ions emitted from jade tranquilize mind and body by removing heat on the stomach. Promotes metabolism and blood circulation, activates enzymes and aging cells and subsequently detoxifies our body.